HomeCryptoBitcoin NewsBitcoin headed for golden cross to start next bull run? Since last January the crypto market has been rung out like a rag left to dry in the 100-degree summer heat. Although one chart pattern may be playing out, a reversal might be just around the corner. 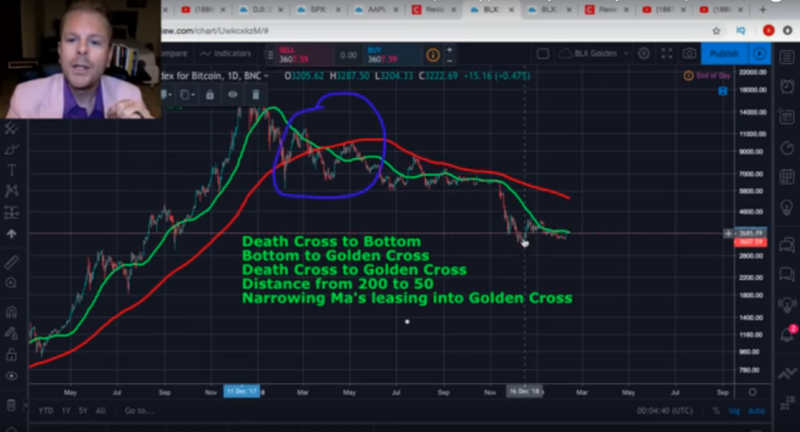 In a February 13 video, crypto YouTube chart analyst Crypto Crew University pointed out that bitcoin might be headed toward a golden cross, potentially signaling the start of another significant bull run. 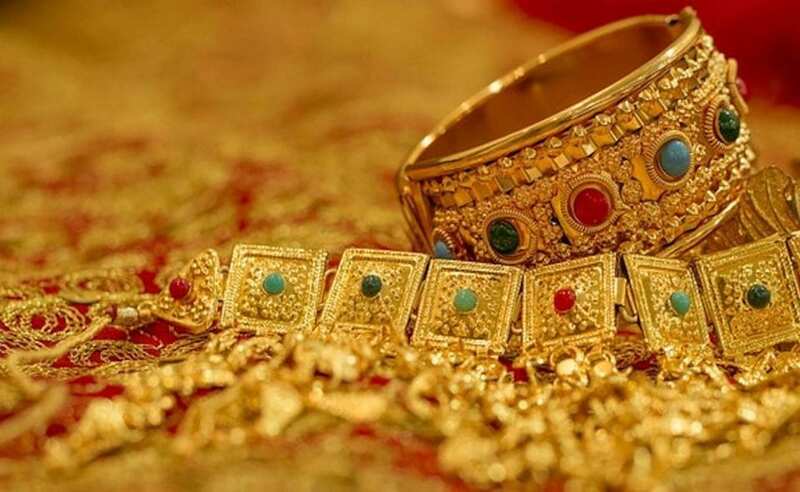 A golden cross refers to a moving average (MA) crossover on a price chart when a short-term moving average turns upward, crossing above a longer-term moving average. In crypto, seemingly the most commonly used moving averages used for golden cross evaluation are the 50-day MA and the 200-day MA. Larger time frames also often hold more significance to the market’s future than smaller time frame charts. 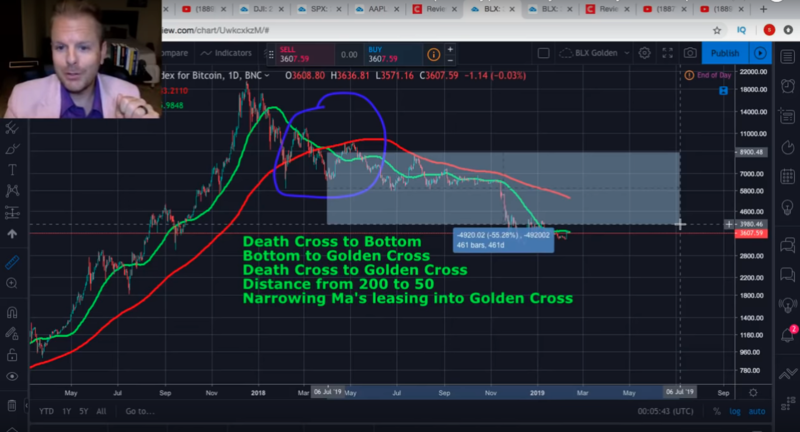 The golden cross is the opposite of a death cross, which occurs when the 50-period MA crosses below the 200-period MA, while on its path downward. Crypto Crew University mentioned the presence of a death cross for bitcoin last year. As the bitcoin daily candle chart shows (BLX chart for an extended timespan of data), the death cross for bitcoin appears to have occurred in March or April of 2018. As the chart also shows, price made multiple attempts to break above the 200-day MA, but had no great success in sustaining a rally above it. 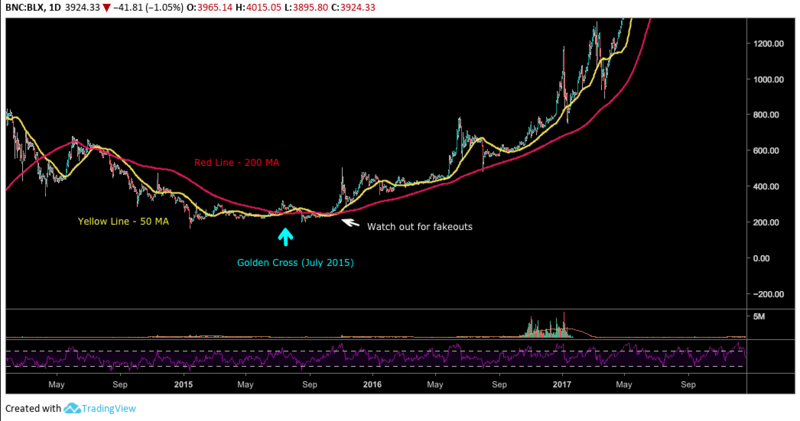 For context, Crypto Crew showed a previous golden cross back in June of 2015, and the subsequent bull run following the event. The chart above shows the mentioned golden cross from July of 2015, and then strong upward price movement after. It is, however, important to note that no indicators or patterns are correct all the time. As pointed out in the above chart, the 50-MA seemed to fake downward, barely crossing below the 200-day MA before continuing higher. It can be of benefit to take other factors into consideration, as well as keeping in mind that no system is foul-proof. 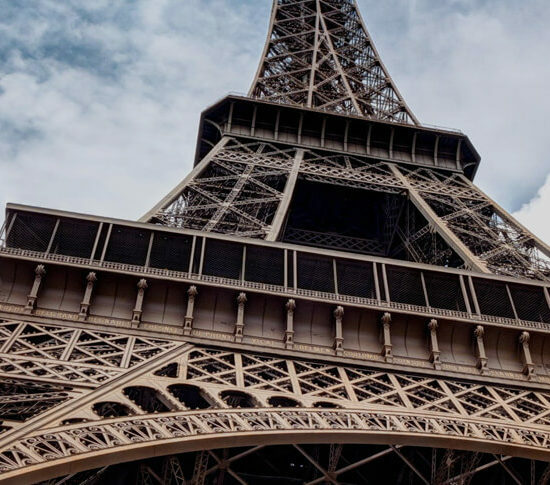 Looking to the future, Crypto Crew said he thinks bitcoin might be heading toward a golden cross, possibly soon, based on the length of previous bear markets, comparative to the length of the current bear market, and taking into consideration other factors. 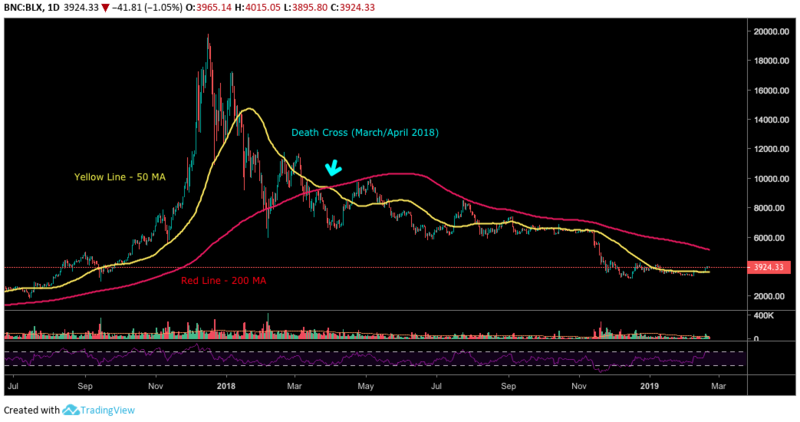 Assuming bitcoin price has already bottomed, and taking into account many other aspects such as time lengths, bottoms and bear markets, Crypto Crew projected a golden cross might possibly fit a timeline of occurance for June or July of 2019. 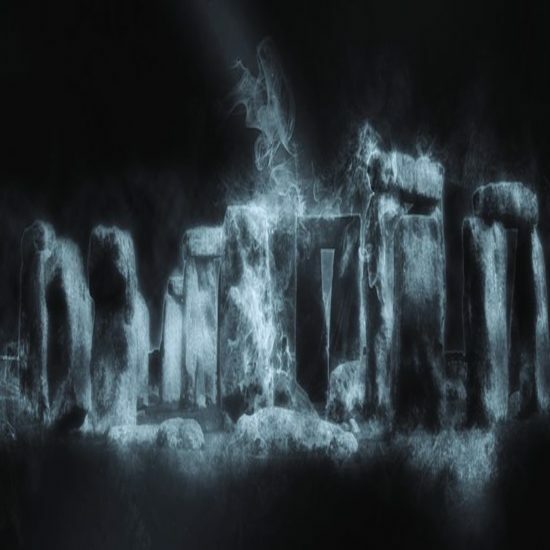 The analyst also looked at several other angles and possibilities in this video. 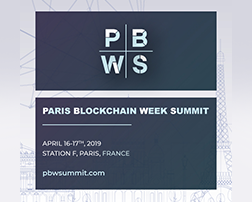 He included that if bitcoin has not yet bottomed, then the mentioned timeline moves a bit further into the future, such as possibly October or November, depending on the actual bottoming. Although fakeouts and rejections might also occur, a golden cross might seemingly bring light to a dark and down crypto market. *This article is based on opinions, speculations and interpretations from the author and others, and is not in any way financial advice. Writing about price levels is purely speculation, subject to speculatory bias. 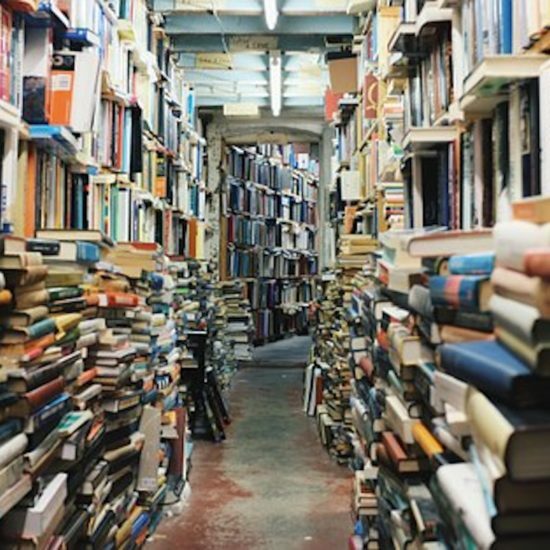 Nothing written is any kind of advice whatsoever. Proceed only at your own risk. 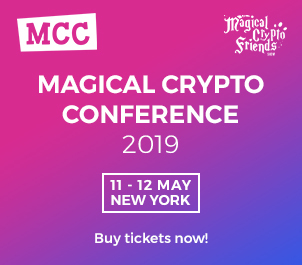 *Crypto Insider is not at all affiliated with Crypto Crew University, or his classes, groups, etc.